Hiya artists! We are having our first weeklys challenge, and you are invited to join! 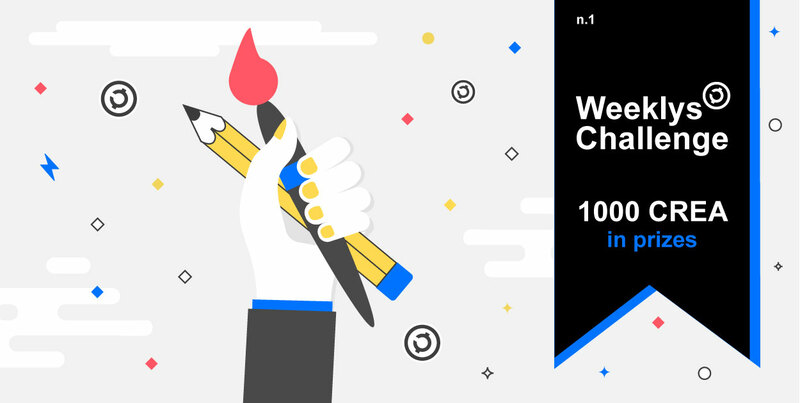 CREA’s Weeklys Challenges are week-long art challenges crafted to get the creative juices flowing inside the the Creativechain’s community! The challenges are open to all public. Simply download the Creativechain’s app, create an entry fitting with the challenge, add the specific tag, and you’re in! The challenge will start the (startdate) and last until (end date) and we will be giving away a total of 1000 CREA in prizes!!! The inspiring theme will be revealed on (startdate), stay tuned!